Fossil News publishes a wide variety of articles: reports of field trips and museum visits; descriptions of unusual finds; notes on personal collections, how-to articles (building displays or preparation tips, for example); essays on current issues in paleontology and paleobiology; reports of public-education efforts and of projects by organizations/clubs that work with collectors; and much more. Each quarterly issue also features the work of a PaleoArtist, and Fossil News invites her or him to talk with us about art, science, and paleontology. 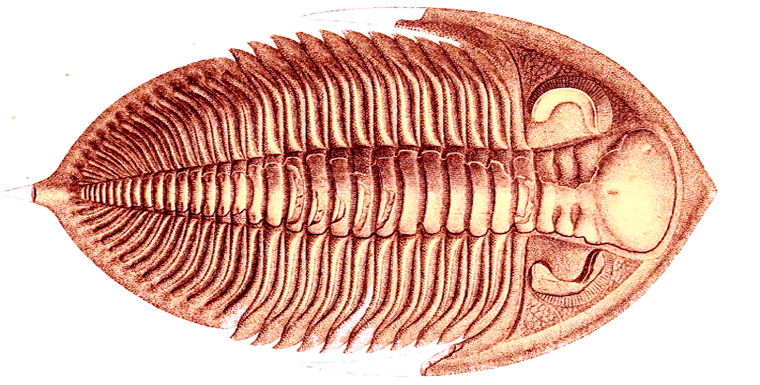 If you have an idea that you think might be right for Fossil News, please query at FossilNews@FourCatsPress.com. Pictured: Strophomenid brachiopod in Byer Sandstone, Lower Mississippian eastern Ohio.